Your skin is delicate, so why would you use harsh chemicals to pamper it? According to the Environmental Working Group (EWG), the average woman applies 200 chemicals to her skin each day. But no matter what skincare issues you may have, you can turn to natural remedies and products to help revive the look of your skin, without damaging it with harmful substances. Inspired by her grandmother’s natural approach to skincare, Lexie Masterson, former actress, model and sister of Mary Stuart Masterson, founded Clairvoyant Beauty, an allnatural and vegan line of aromatherapeutic products based on the skin-soothing recipes her grandmother cooked up in the kitchen. Masterson has built upon her grandmother’s knowledge, updating her products to incorporate new discoveries in skincare science. “I wanted to provide women with a more natural alternative to take care of their skin without using harsh chemicals,” Masterson explains. 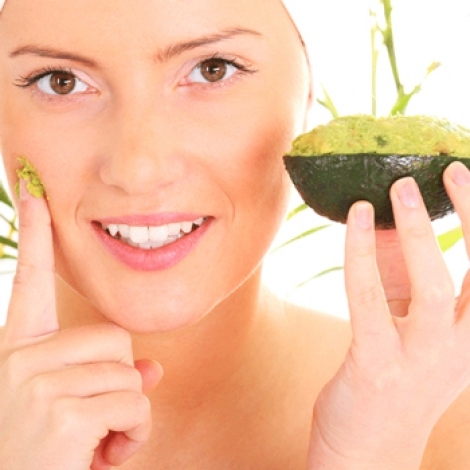 For dry skin, Masterson turns to rich avocado. “The unsaturated fatty acids soften your skin, while stimulating natural oil production. Apply to clean skin for 15 minutes before rinsing with warm water,” explains Masterson. It’s important to treat your skin with a moisture-rich product daily. Look for one that contains essential fatty acids (EFAs), like those in avocado, such as the Clairvoyant Beauty Balancing Rosehip Oil & Hibiscus Facial Serum. Rosehip Oil is a rich source of Omega-3, Omega-6 and Vitamin F, and its Vitamin C is high in Gamma Linoleic Acid (GLA). Hibiscus, with its natural astringent and antioxidant properties, blends perfectly with the Rosehip Oil, creating a synergistic combination for all skin types, even the most sensitive. To reduce oil production, Masterson recommends whipping up a mask using strawberries, an egg white and honey. “The strawberries – rich in salicylic acid – are great for treating acne, and the honey hydrates the skin, while delivering antibacterial properties,” explains Masterson. To make, add 1/2 cup of fresh strawberries, one egg white and 2 teaspoons of honey to a blender and mix. Apply to your face and neck for 20 minutes, then rinse with cold water. For deep cleansing that doesn’t strip the skin, try Clairvoyant Beauty Detoxifying Clay Cleanser with DMAE, a natural anti-aging nutrient derived from fish oil that extends the life of cells and inhibits cross-linking of proteins, giving the skin a toned and firm appearance. “For red, puffy skin, turn to cucumbers, which are mildly astringent, and yogurt, which delivers key nutrients such as protein, calcium and vitamins to soften your skin,” suggests Masterson. To alleviate irritation, Masterson mixes 1/2 cup plain, organic yogurt and 1/2 cup grated cucumbers in a blender. Apply the mixture to your face for 15 minutes before rinsing with cool water. For a daily dose of skin benefits, try Refreshing Cucumber Facial Toner by Clairvoyant Beauty. The natural salt, enzymes and vitamins in cucumber stimulate cell growth and strengthen connective tissues. This toner is completely natural – made from the juice of real cucumbers – so the skin drinks in the veggie’s long list of healthy benefits with just a few spritzes daily. To learn more about the allnatural and vegan products and skincare regimens from Clairvoyant Beauty, visit www.ClairvoyantBeauty.com, where five percent of your purchase will be donated to the Rainforest Alliance.